Help the Fairfield Museum restore one of Black Rock's most important artistic landmarks! 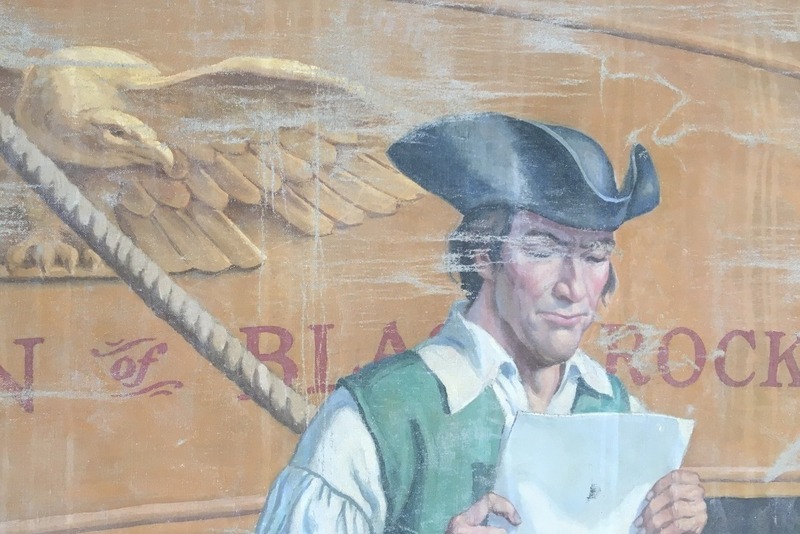 Robert Lambdin's famous mural Old Black Rock Harbor, 1810 that once hung in the Black Rock Bank and Trust Co. building on the corner of Fairfield Ave. and Brewster St. was rescued from destruction last year. The Fairfield Museum is now restoring this Black Rock landmark and we are asking for the community's help to raise the final $7,500 needed to complete this restoration before June 1, 2019 so that the mural can be unveiled as part of our commemoration of Black Rock's 375th anniversary. Thanks to a generous $10,000 grant from Bank of America, as well as donations from private individuals, we have already raised $30,000 toward the $40,000 cost of the mural's restoration. 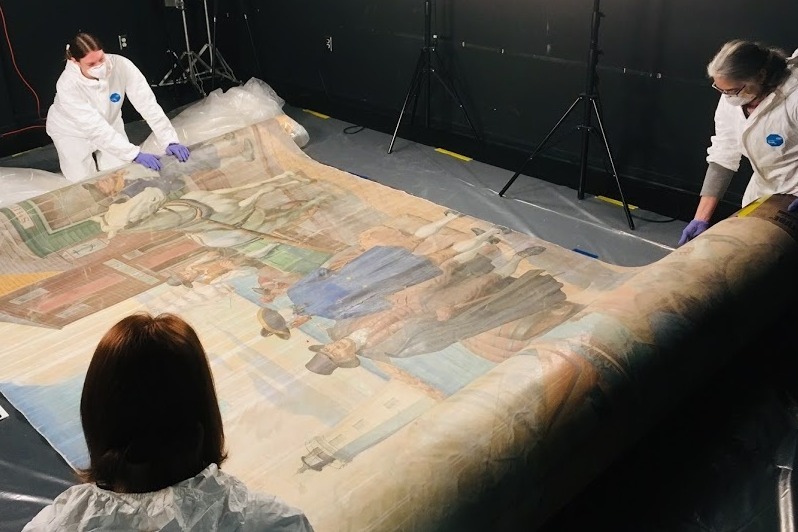 The restored mural will be put on public view in the Museum's “Creating Community” exhibition, and all donors to the restoration will be prominently recognized on a plaque that will be hung next to the mural. Here's more about the mural's history. 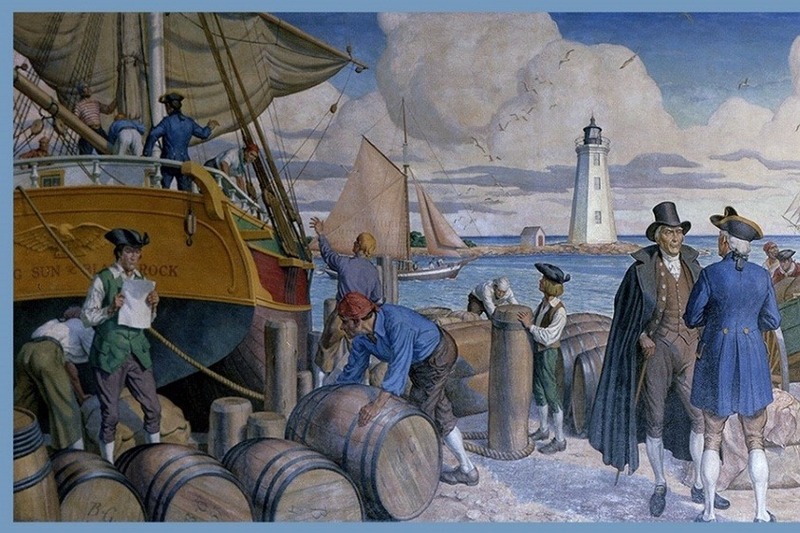 In 1948, renowned Connecticut muralist Robert Lambdin completed an 8’ x 20’ mural for the Black Rock Bank and Trust Co. During the 1930s and 40s, Lambdin had been one of Connecticut’s most sought-after muralists, winning several commissions through Works Progress Administration to depict American life in public buildings such as libraries, schools and post offices. A few remaining examples of Lambdin’s art have been preserved in Westport and are highly valued today. In 2017, renovations began on the long-abandoned Black Rock Bank building, and the mural, which had been damaged through years of neglect, was rescued and donated to the Fairfield Museum. 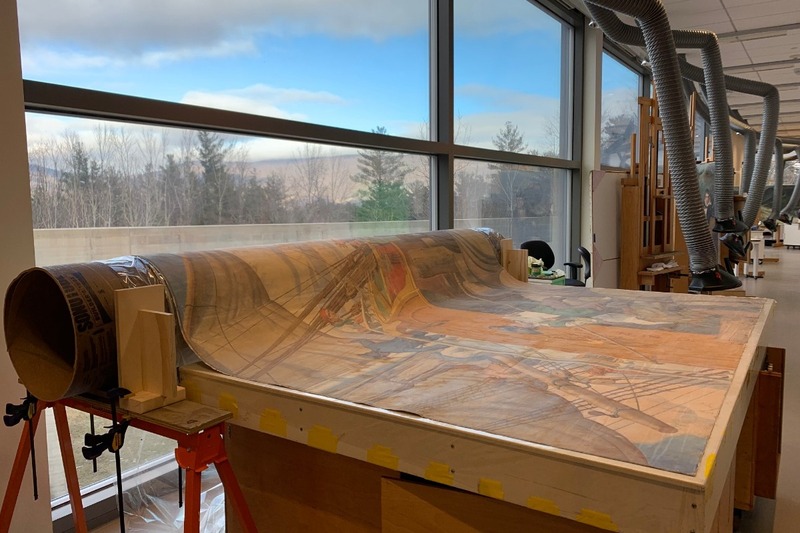 The careful restoration of this rare icon of Black Rock's maritime history is currently being conducted by the Williamstown Art Conservation Center in Massachusetts, one of the top art conservation labs in the country. Please help us finish this very special project by making a tax-deductible contribution today! We are grateful for the support of Bank of America, the Black Rock Community Council, Bruce and Michele Hubler, and Jack and Kay Collins for their generous contributions.